Yesterday my hubby Vince and I went to SM Lucena after the check up of Vince. 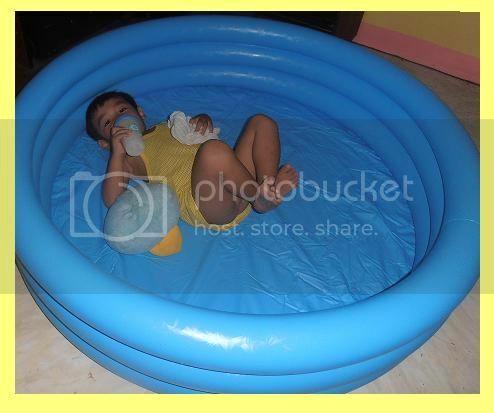 We saw the kiddie swimming pool at the 1st floor of the mall and Vince likes to buy it. My hubby chooses what the best for Vince because we don’t have big space in our simple abode my hubby choose the round shape and fits also for Vince. 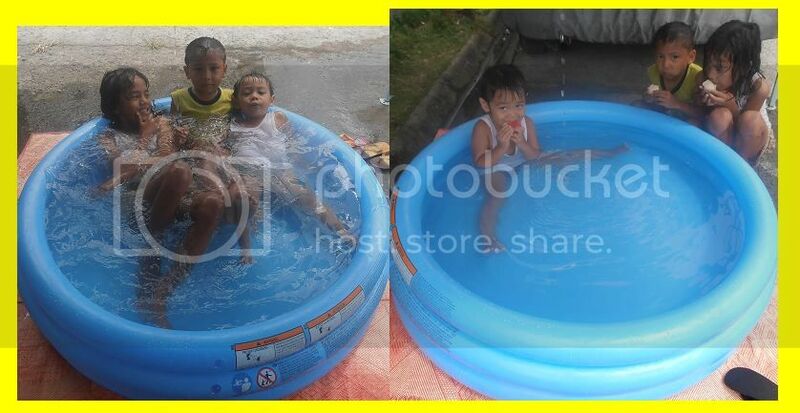 The kiddie swimming pool is intex brand is cost of 450 pesos only, it’s very affordable and worth it. Well, at home my hubby tried to open the swimming pool and put an air. Because Vince is very excited he was already lying inside and make drunk of his milk haha, very funny. Anyway, Vince swims together with his friends. He was really happy even thought he do not know how to swim. 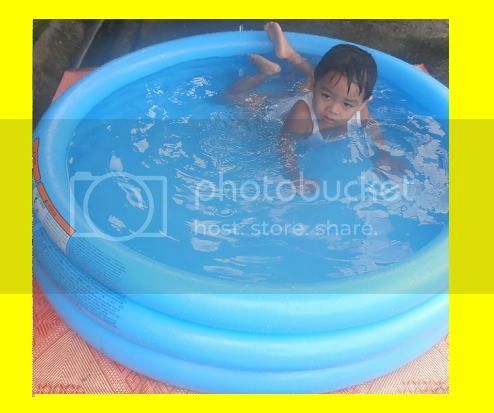 I love this little pool; it is perfect for my little boy Vince.